Few public courses in the country can compare with the consistently excellent conditions and outstanding service you will find at The Hamptons. Designed by noted course architect Dr. Michael Hurdzan, this course has three distinctive 9-hole courses, each with its own unique qualities. A 27 hole championship course with driving range, putting green, full club house, snack bar and full service restaurant overlooking the impressive 10th hole, our signature hole. 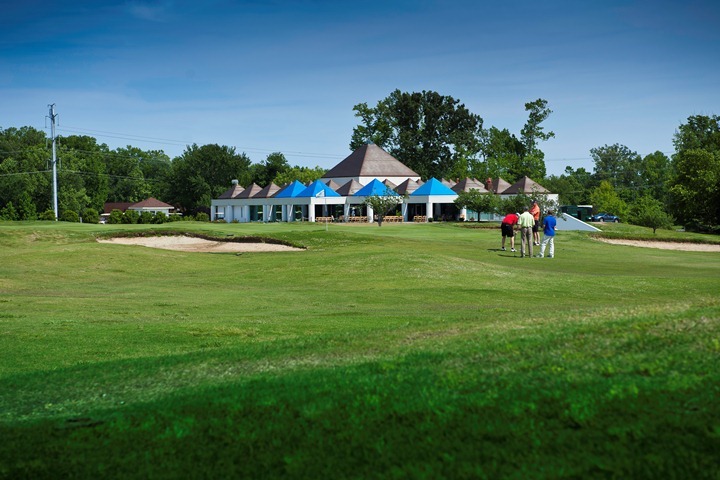 Always meticulously maintained, this championship course offers varied elevations, gently rolling terrain, expansive fairways, inviting par threes, and Bentgrass greens. A beautiful combination of ornamental grasses, lakes, wildflowers and waterfalls – all home to a variety of birds and waterfowl – provide inspiring surroundings throughout the course. The Hamptons is a public, daily fee course, offering the quality and service of a private course, without the high prices.